We are sharing new exciting things! New partners with new solutions! New solutions include include document software, scanning solutions, carrier audit and copiers. In addition, our showroom* will have the latest IMI postage meter and new energy efficient high speed inkjet MFD. You don't want to miss out. Lunch will be served. Please RSVP if you plan on attending. Registration closes on Tuesday, June 12th at 6PM. *If you wish to have a specific demonstration from us at the Open House, please let us know and we will be happy to schedule a demo with you accordingly. Please explain your request of demo. Thank you for your request. We will have a specialist contact you shortly. Download Summer Open House Flyer. *Due to inclement weather conditions and for the safety of our guests, we have elected to postpone March Open House to Wednesday April 4th 2018. We will be showcasing our latest solutions, with the help from our partners Epson, Muratec, and FP Mailing Solutions. 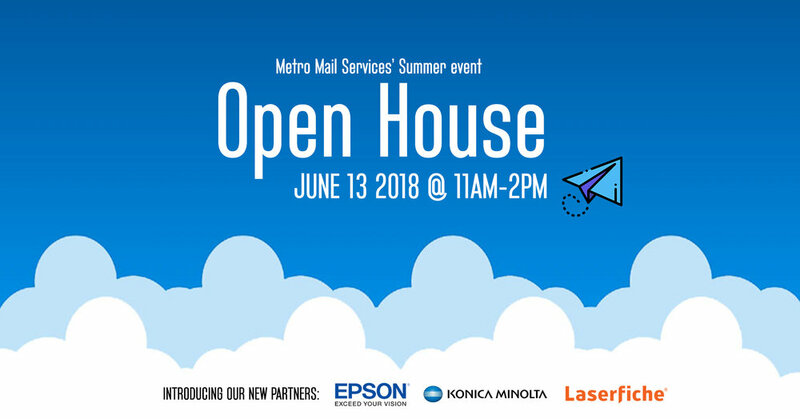 In addition, a representative from Epson will be joining us to showcase their latest products like the new energy efficient high speed inkjet MFD. If you plan on attending to the new date, please RSVP by April 3rd. If you need to make any changes with your current reservations, email info@callmms.com or give us a call at 703-451-4103. Lunch will certainly be provided. To learn more about the services we offer, be sure to go to our solutions page. Download Open House Flyer (Updated 03/20/18) Flyer. 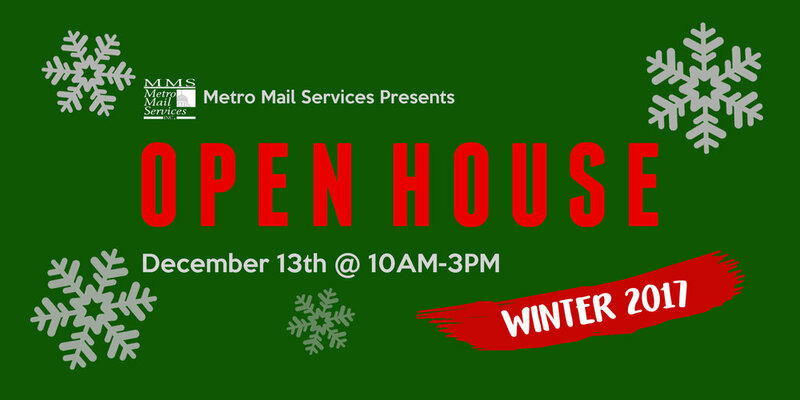 If you missed our winter open house in December, here's another chance! A chance to have lunch with us, see the latest products and win the new Amazon Echo Show + gift cards! We are introducing new products from our partners; Epson, Muratec and FP Mailing Solutions. See the new energy efficient high-speed inkjet Multi-Function Device and the latest IMI postage meter. We will also talk briefly about USPS Rate Change on January 21, 2018. If you plan on attending, please RSVP at 703-451-4103 by January 12th. Download New Years Open House Flyer. 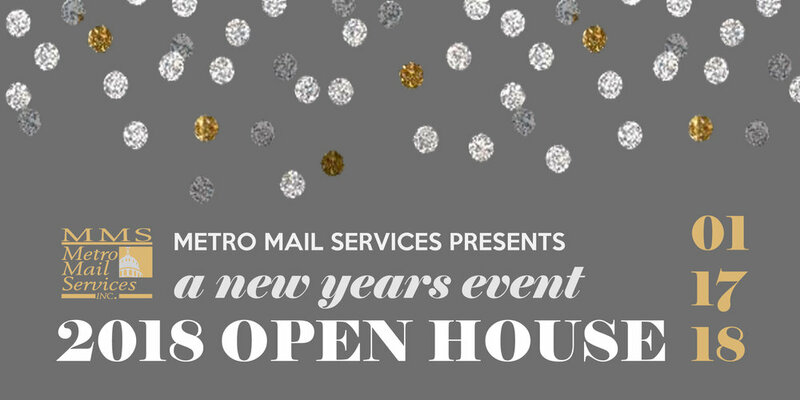 Join us at our Winter Open House 2017 featuring the latest products from Epson, Muratec and FP Mailing Solutions! See the new energy efficient high speed inkjet multi-function device and IMI postage meter. We will be providing lunch and giving away awesome prizes like the Amazon Echo Show! You don't want to miss it. If you plan on attending, please RSVP at 703-451-4103 by December 12th. Any further questions regarding this event, contact us at (703) 451-4103. We are very excited to see you all! Download Winter Open House Flyer. Welcomed by Postal Customer Council (PCC) of Northern Virginia, we are hosting a Mailroom Tour to see the latest products and solutions. If you are interested, register to join. We look forward to seeing you all!